Well, there are no press releases (UEFI is notably stingy on funds), but a big UEFI Test Event is taking place 11-15 December in Dupont, WA. Why Dupont? Well, primarily because Intel has a big facility with lots of open space and they were willing to help foot the bill. And, not to be outdone, AMD kicked in some money and UEFI itself covered the rest. The test group in UEFI is sponsoring this as part of its beta roll-out of the UEFI System Compatibility Tests. I'll be there the entire week. More later. Insyde (as reported here: http://www.tmcnet.com/usubmit/2006/05/22/1658081.htm) put put out a press-release talking about their support of Framework support of AMD processors. They demo'd this at WinHEC running Vista. It wasn't clear whether they actually booted Vista using UEFI or using good ol' INT 19. This is important for Insyde, since they've primarily been living off of PEI/DXE drivers from Intel. Moving silicon support outside the Intel camp shows that their product isn't just tied to Intel. AGESA (mentioned in the article) has been AMD's standard way of delivering code to BIOS vendors in the past. The problem for AMD has been, how to integrate their code as quickly as possible into a new BIOS code base (either one of the BIOS vendors or one of the many customers who purchase source code or have their own BIOS). The answer, to this point, has been encapsulation (the 'E' in AGESA). So what Insyde did was create a PEI-style wrapper and some conventions to handle the call-outs from AMD's code. Seems like a good transition strategy, one which would be obviated if AMD would create their own PEI drivers. Right now, there is still some value for BIOS vendors to create their own code. Many of the silicon vendors haven't switched their own internal support structure to create PEI/DXE modules and at least one major code base (Award, produced by Phoenix) doesn't support PEI currently. If every BIOS code base were to support PEI/DXE, then there is no reason not to produce it in that format. The article contains some technical inaccuracies: I don't think Insyde was really running a UEFI solution in their booth (at least they haven't announced UEFI 2.0 support in the past). They are also playing loose with terminology: UEFI-based PEI and DXE drivers. The UEFI specification does not talk about PEI or DXE. 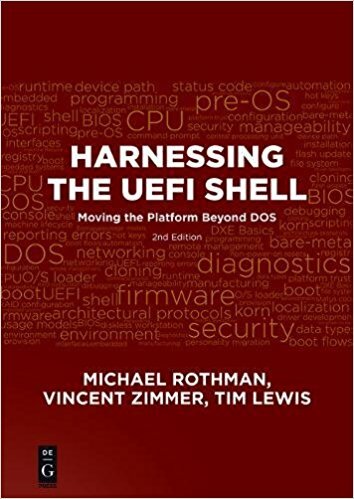 The Platform Initialization Working Group inside of UEFI Incorporated is working on two specifications (PEI & DXE) which have not been released yet, are different in several ways (incompatible ways) from Intel's previous initiatives of the same name, and aren't necessary for the UEFI specification at all. Apple announced here (http://www.apple.com/macosx/bootcamp/) that they can now dual-boot Windows XP and MAC OS. This had previously been done via a hacker patch, but an officially supported one is quite an impressive accomplishment. What isn't clear is where they got their CSM, since XP still uses all of the legacy interrupts to boot, it means they had to stick something on the front of the DXE driver model they got with the Framework. Actually, supporting only XP is a lot easier than a lot of the garbage that BIOS companies have to put up with to support (say) Win98 or WinMe. You may not believe this is an issue until you realize that big PC companies have guaranteed support contracts for Win95 still. What a breath of fresh air it was to finally no longer have to include OS/2 testing in compatibility labs (it was the only OS which didn't support DPMI, which meant we had to use SMIs to switch out of real-mode to protected mode code). Having said that, XP still requires dozens of interfaces, from INT 15, E820, through the extended INT 13 functions, INT 10 and INT 16. A CSM essentially requires an EFI-style executable which can relocate itself into the F000 shadow area to provide the compatibility services. 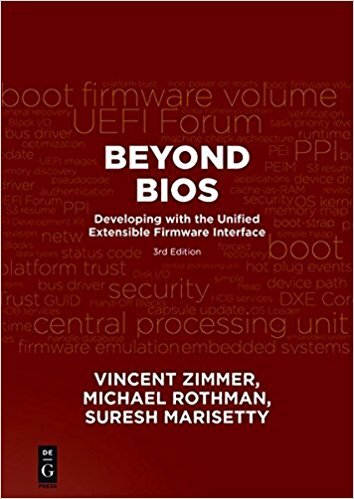 If you want a degree of platform-independence, you can either (a) reverse thunk into flat 32-bit model to call the EFI driver or (b) rewrite all the BIOS support code for each platform. They can either license it from someone, write it themselves or steal it from another product. 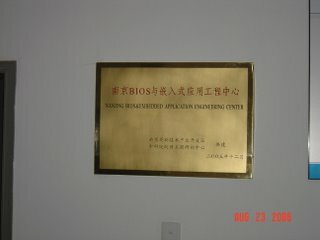 Did they have a BIOS license in the the PC virtualization stuff? I don't know. Since I haven't seen Phoenix or Insyde or AMI trumpet this, I don't think they bought this from anyone. For now, it is a fun playground for enthusiasts.